Here’s a good-natured conversation Jim and I had with the fifteen-year-old earlier this evening, after everyone arrived home from work and Lacrosse practice. I had, after work and dropping the kid off at practice, come home and cut the grass for the first time this year. (Yippee!) (No, seriously) By the way, I love cutting the grass sometimes; it’s like ironing: lots of thinking time. 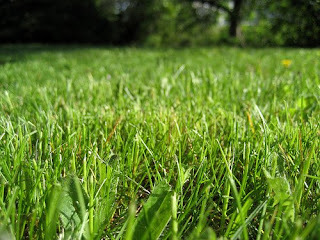 Fifteen-year-old (FYO): Thanks for cutting the grass, Mom. That’s supposed to be my job. Me: You’re welcome, but no thanks are necessary. I was happy to do it because I enjoy cutting the grass sometimes. Jim: I like to cut the grass sometimes, too. FYO: Well, you’re a Freak too! Me: Hmmm. If Dad’s a Freak and I’m a Freak, what does that make you? Oh yes, a Double-Freak! You make me miss my oldest. That’s the kind of banter we had. Somehow it’s different long distance–we still talk a lot, but those easy, silly conversations just don’t happen as much anymore. Enjoy him while you’ve got him! Count me in as a freak, too. I do like to mow the grass. I liked it better when I was younger because we had a ride-on mower! Stacey: I know, I know…I keep thinking about that…he’ll be 16 already NEXT MONTH! ARGGHHH! Sue: Amen to that, sister. We had a riding mower too. That was FUN! Next post: A Lovely Tribute!